Learn to capture the colors and shapes of nature! Identify local leaves, fruits, and flowers that are great for eco-printing in the fall. Create your own unique and naturally-designed silk scarf or bandana to take home to celebrate this colorful season. Regional Parks’ naturalist Shelly Spriggs will bring samples of eco-printed scarves and give a step-by-step demonstration. We will harvest a small amount of leaves, petals, and other foliage from the Laguna Environmental Center’s native plant landscape and Grandmother’s Garden around the old farmhouse. We’ll learn how to arrange the collected plant materials on the silk, then fold, bundle and steam them in a pot of water which persuades the plants to transfer their image to the fabric with surprising color. While the prints are setting, we will take a 1-2 mile easy-paced walk along Irwin Creek to the Laguna on mostly flat but uneven terrain. All workshop materials are provided. Bring a picnic lunch. 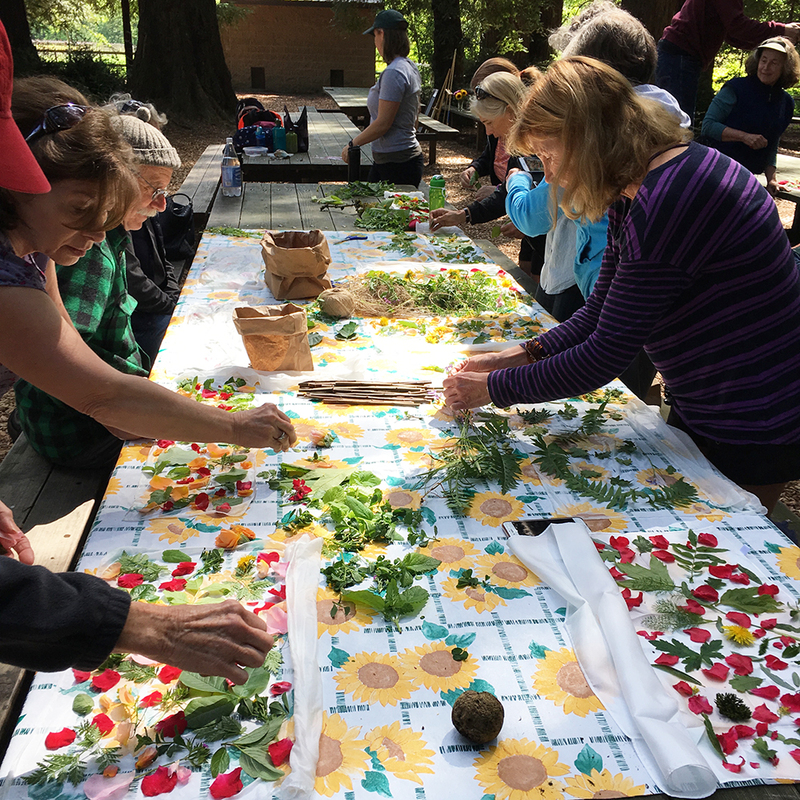 This workshop and outing will take place rain or shine and is made possible through a partnership with the Laguna Foundation and Sonoma County Regional Parks.